Over the past couple years, my wife and I have participated in several of Merlin’s activities, including Philosophy Walks, Drive-in evenings, Think and Drink evenings, the Reeder’s Alley Block Party, and philosophy symposiums. I find three things about these activities to be particularly impactful to me and keep drawing me back to Merlin. First, I often hear things that make me question my own thinking. Through the presentation of ideas that are new to me and the discourse with others who aren’t necessarily like-minded, I get the opportunity to examine why I believe what I believe. In some cases, this solidifies my opinions and attitudes. In other cases, it truly has caused me to shift my perspective. As the consummate introvert, I find the desire to really understand the what and why of my own thinking to be a driving force. Second, Merlin provides a safe forum for discussion and serves as the conduit for bringing together groups of people with distinctly unique backgrounds. Discussions within the various forums are clearly not driven by group think. Rather, diversity of thought would be a better way of describing the audiences. The one commonality I’ve found with the programs I’ve attended is that even though the participants come from a wide variety of fields from across the region, most participants are sincerely interested in hearing and understanding the perspectives of others. Merlin creates an encouraging and safe environment for social discourse, free of animosity and attack. That is something that is increasingly disappearing from our society. Third, Merlin activities are fun. Being fairly new to the Helena area, Merlin activities have opened the door to meeting new people and making friends with folks that I would not otherwise have met. These relationships have helped my wife and I build a sense of community that transcends our jobs and immediate family, helping us feel part of the Helena region. I have always left the Think and Drink events with new insights, ideas and questions and ponder these still. The value of a thoughtful exchange of ideas with people who I might not have had the opportunity to meet or encounter in my normal social circle has expanded my knowledge and often made me aware of a prejudice I had not recognized in myself. The way the sessions are structured allows for presentation of alternative ideas and views in a safe environment. Many times I’ve read a book or sought additional research on a topic after the event. I’ve met and gained new friends due to these sessions. 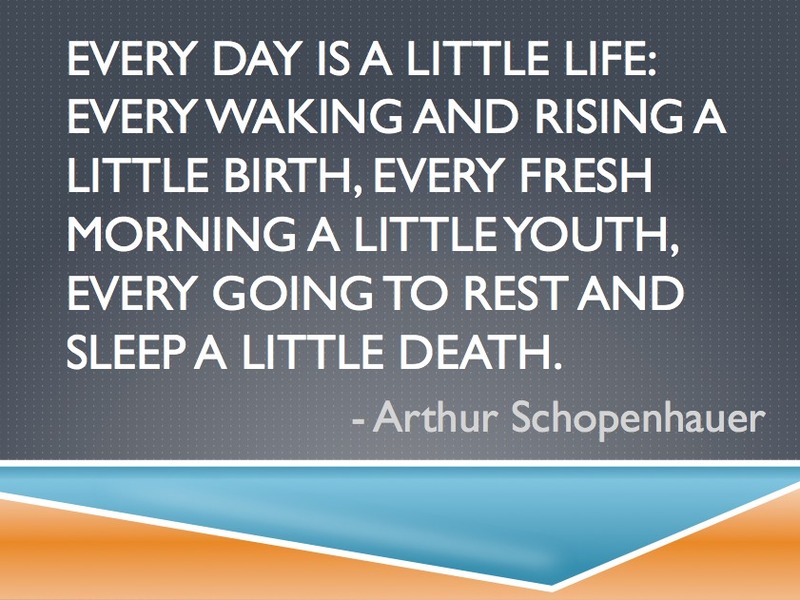 My worldview has been expanded and this keeps me coming back. Semi-Retired Attorney at Law, Doney Crowley P.C. One of the primary ways Merlin brings value to the Helena community is by offering unique opportunities that pull diverse folks together to talk about stuff that otherwise wouldn’t be talked about. As an urban-design geek, a rare species hereabouts, I really appreciated the chance to lead a philosophy walk for Merlin last year. I found the experience to be positive in almost every way and I want to see more such events, regardless of the topics discussed. Awesome! Just What Our Community Needs!! Awesome! Just what our community needs!! Keep the critical thinking processes active & alive!!! Merlin is so important to our community because it promotes critical thinking and thoughtful interaction between anyone and everyone who wants to participate in an ongoing conversation about what it means to live our best lives. Without Merlin we would be leaving some of our most beautiful opportunities to interact intellectually with one another to chance, and what a misguided strategy that is. Thank you Merlin, for getting us together and sharing our passions, fears and blessings. Merlin creates a community of people who are interested in applying thoughtful reflection to issues facing society, whether they be local (walkable cities), regional (habitat preservation), or global (artificial intelligence). I always learn something from the activities and events I attend. In addition, I often find contacts in areas of discussion that help expand a network of individuals who are concerned about the topic of that event. It’s not often that a lively public discussion tumbles out into a bar after the main event closes for further hashing, but it’s happened more than once with Merlin events I’ve gone to. Gone are the days of round-table cafe’ philosophical confabs sprouting spontaneously on street corners. 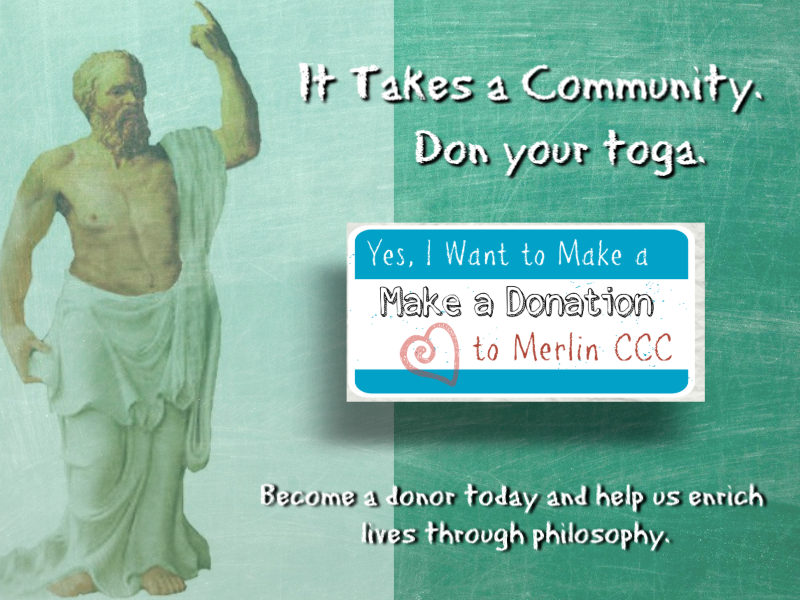 Merlin fills a wonderful social role of providing forums for discussion of critical issues to our community. It provides a kind of fountain of ideas percolating among us in this time of rapid transformation and creative foment.